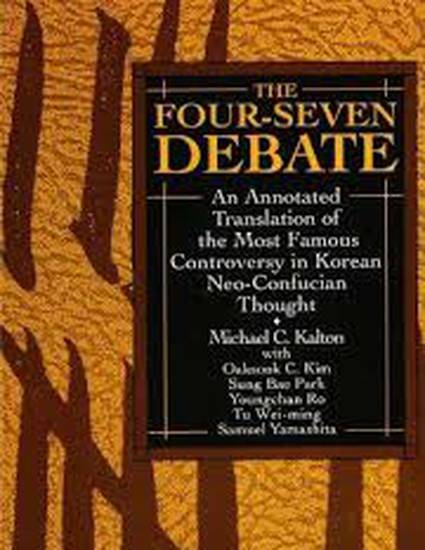 This book is an annotated translation, with introduction and commentary, of the correspondence between Yi Hwang (T'oegye, 1500-1570) and Ki Taesung (Kobong, 1527-1572) and between Yi I (Yulgok, 1536-1584) and Song Hon (Ugye, 1535-1598), known as the Four-Seven Debate, the most famous philosophical controversy in Korean Neo-Confucian thought. The most complex issues and difficult tensions in the great Neo-Confucian synthesis are at the juncture between the metaphysics of the cosmos and the human psyche. The Four-Seven Debate is perhaps the most searching examination of this tension ever carried out.